By making purchases from the show’s official ticketing services or directly from theatre box offices, you’ll get the best seats at the best prices, and be protected in case of unexpected events such as weather cancellations. To buy online, find your show on Broadway.org, The Broadway League’s official on-line headquarters for Broadway information. Then follow the official ticketing link for your selected show. You’ll also find phone numbers and box office addresses if you prefer to purchase by phone or in person. 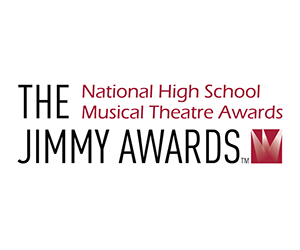 Interested in a Broadway National Tour? Touring Broadway shows travel to theatres across North America, including your home town. Get information on current and upcoming Broadway National Tours at Broadway.org. The Broadway League’s Broadway.org website is the best way to get tickets to current and upcoming Broadway shows. You can buy tickets at all price points, direct from the theatres’ official ticketing offices. 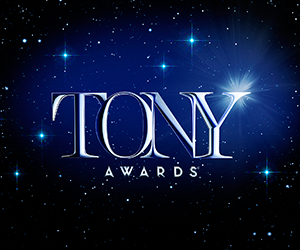 Each show’s page on Broadway.org lists the phone number of the show’s official ticketing service: usually Telecharge.com at (800) 432-7250 or Ticketmaster at (877) 250-2929 depending on the show. For Roundabout shows call (212) 719-1300. For the Hudson Theatre call (855) 801-5876. Once you have chosen a show, head over to the box office in person and select the perfect seat location on the performance date of your choice. No additional handling fees. You can get theatre addresses here. What are the different types of tickets that I can purchase? Broadway shows offer tickets at many different price points. Regular Price tickets generally range from $35 to $175. You can expect to pay higher prices for the best seats to hit shows on weekend nights. On the other hand, you can save money if you’re willing to sit in upper-level mezzanine seats or be flexible about performance dates and times. Some shows offer Premium seating for their best seats. You may be able to find Discount tickets for certain shows, but you will have less flexibility in performance date and seat location. For info on Group tickets, Student tickets, Standing Room, and Rush tickets, check out shows’ individual pages on Broadway.org. Yes! It’s usually better to arrange your tickets as soon as you know what show you want to see. Many shows sell out, and desirable seat locations are often unavailable at the last minute. Visit our Performance Times page on Broadway.org with schedules for all shows this week. Midweek evening performances generally begin at 7:00 p.m. or 8:00 p.m. (or occasionally at 7:30 p.m.). Friday and Saturday evening curtains usually rise at 8:00 p.m., though there are some exceptions. Only a few shows perform on Sunday and Monday evenings. Afternoon “matinees” take place on various days, especially Wednesdays, Saturdays, and Sundays. Shows generally take one day a week off, and holiday weeks bring special schedules. It’s a good idea to check your tickets carefully, and to confirm the time of your performance before you buy your tickets. What are the different kinds of seats called? All Broadway theatres offer “Orchestra” seating on the main floor of the theatre, and “Mezzanine” seating one level up (the mezzanine at the Vivian Beaumont is called the “Loge”; at the Hudson Theatre and the Lyric Theatre it’s the “Dress Circle”). Many theatres offer seating in an additional level above the mezzanine called the “Balcony,” which is sometimes referred to as the “second balcony.” A limited number of “Box Seats” may be available for some shows; these are on the sides of the auditorium, close to the stage. Finally, “Standing Room” tickets at the back of the orchestra or mezzanine are available in some theatres, though generally only when the show is otherwise sold out. Which are the best seats in the house? Some theatregoers consider the center part of the “Orchestra,” or ground-floor level, the best seats. Others prefer the first few rows of the “Mezzanine,” one level up. Yes. 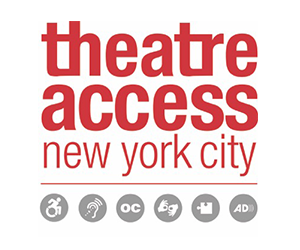 Visit TheatreAccess.NYC for information about services for those who are hard of hearing or deaf, have low vision or are blind, who cannot climb stairs or who require aisle seating or wheelchair locations, who are on the autism spectrum, or have other developmental or cognitive disabilities. BroadwayTickets.nyc is a program of The Broadway League, the national trade association for the Broadway industry. Each year, League members bring Broadway to more than 30 million people in New York and more than 200 cities across the U.S. and Canada. Learn more.